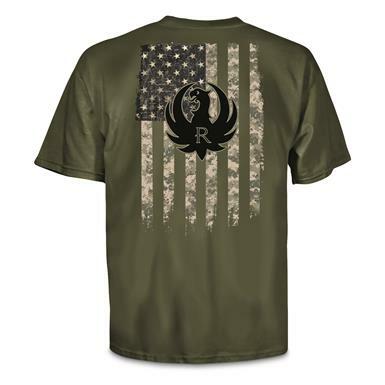 Whether you've personally served in the armed forces or simply wish to honor those who have, get this Ruger® Military Camo Logo Tee to show your support. 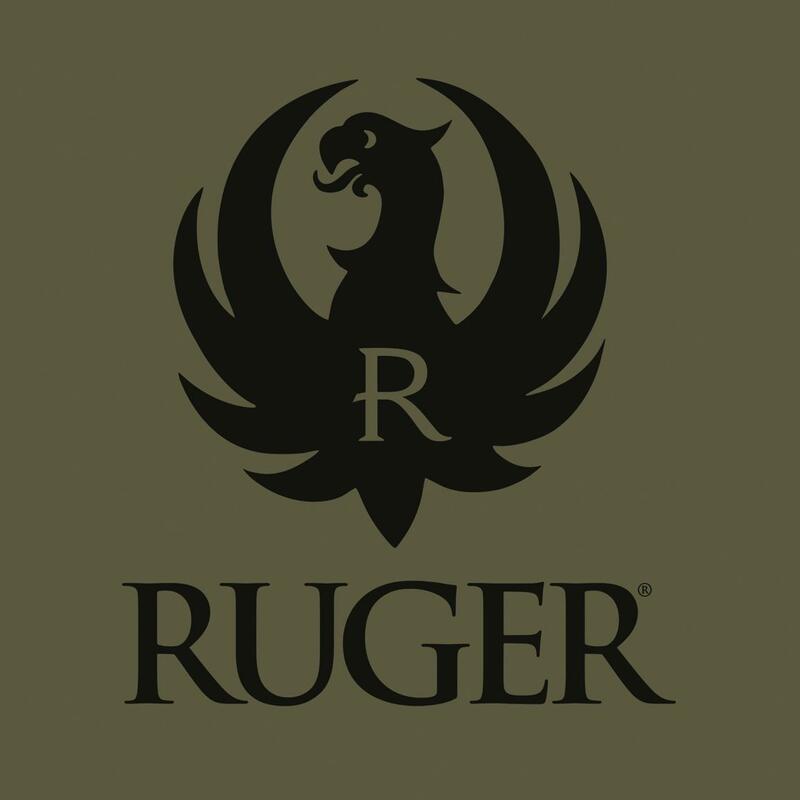 It comes in Military Green, with bold Ruger logo against a camo-enriched rendering of the American flag. 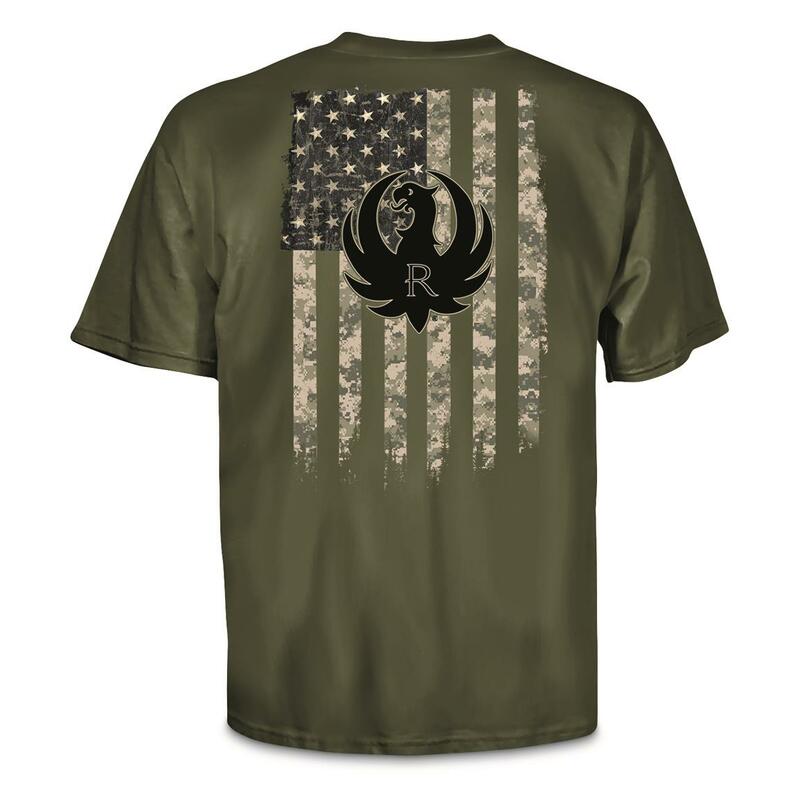 Get this Ruger Shirt delivered right to your door!